The Green Key® is a worldwide available eco-label awarded to leisure organizations, as hotels, youth hostels, conference- and holiday centres, campsites, holiday houses and leisure facilities. To obtain The Green Key the company has to fulfill a list of environmental requirements. These requirements are contained in a number of criteria. Besides environmental demands ( by example to control the production of waste and the use of water, electricity, etc. ), the criteria include demands on policy, action plans, education and communication. 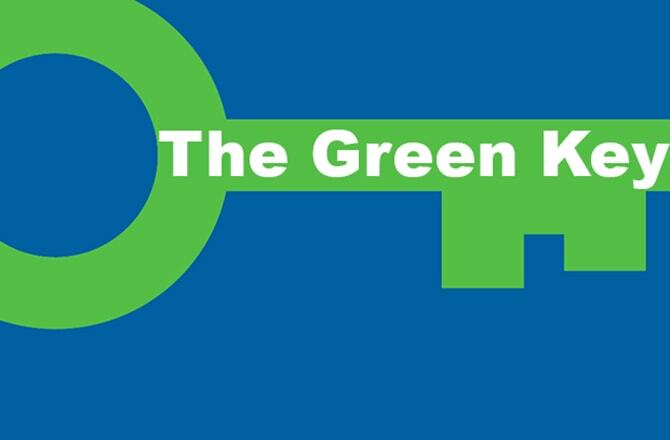 Obtaining The Green Key shows the sense of responsibility an organization has for its surroundings and society.